The other day, I ticked some people off when I blogged about the whining going on as a result of Governor Palin’s endorsement of Carly Fiorina for the California Senate race. Seems like some who disagreed with the governor took it personally and assumed I was talking about them. The truth is if the shoe doesn’t fit, don’t force the sucker on. If you weren’t whining, obviously I wasn’t talking about you, so pass it on to those who were. Some people on other venues were indeed whining, and if those particular individuals have a problem being called out, that’s too bad. Like Governor Palin, I’m bold enough to stand by my statements. I have always been the first to say we are not going to agree with anyone 100% of the time, including someone who has garnered as much respect as Governor Palin. That’s life. Nonetheless, I simply cannot get used to the vehement anger displayed by some whenever she does something with which they don’t agree. I say again what I’ve said before: the very thing that drew people to her is the very thing that makes people furious with her when she doesn’t do what they expect. They were first drawn to her for being a maverick, a free-thinking, principled individual who is willing to take the heat to do what she believes is right. This same quality annoys the snot out of people when what she believes is right is not what they believe is right. Again, I don’t have a problem with tasteful disagreement. Welcome to America. But I have read comments on various venues where people have whined, complained, and made accusations about her character. A few have determined they will no longer support her. You know, the “you didn’t do what I wanted you to do, so I’m taking my toys and going home!” mentality. Why…because their character didn’t govern her decision? Mature people, on the other hand, have just acknowledged they disagree and engaged in adult conversation about it. Now, when looking at the full picture, it is obvious to me that her endorsement of Carly Fiorina was the common sense decision. She is the conservative with the best chance in this race. Others disagree with this. That’s cool, too. But the whining? Despite facing fierce criticism from her supporters, Tea Party hero Sarah Palin isn’t backing down from her endorsement of former Hewlett-Packard executive Carly Fiorina in the GOP’s U.S. Senate primary in California. Palin’s endorsement surprised and outraged many of her supporters who expected her to pick Tea Party favorite Chuck DeVore. But Eric Odom, chairman of Liberty First PAC, a Tea Party-fueled political action committee, called Palin’s endorsement an “unforgivable sin,” and her second strike after endorsing her 2008 running mate John McCain in his Senate race. “Unforgivable sin”? “Dishonest”? “Cheated”? Too bad I didn’t have this quote to use as an example last week when I taught my students the definition of hyperbole. Thankfully, most people I have conversed with or have been quoted do understand the governor’s free spirit and refusal to be controlled by any person or any particular movement. Anyone who paid the slightest attention to the governor’s career knows Recher’s comments to be factual. Governor Palin’s actions are nothing new. In Fairbanks, Alaska, Tea Partier Rita Heidkamp said she has no personal position on the California endorsement. But it’s Palin’s choice to make, and no one else’s, said Heidkamp, whose group — the Fairbanks 912 Project — organized a local Tea Party tax day rally. Thank you, Heidkamp. Governor Palin doesn’t make these decisions lightly. It is indeed her responsibility to make an endorsement that sits well with her conscience. Clearly, Fiorina is that person, and the governor highlighted exactly why in her Facebook note. It amazes me that after all we know about the governor and her track record in AK, some still don’t seem to “get” that she is her own person and will stand by her own principles. She is no puppet on a string. After all, isn’t that what we say we love about her? The endorsement has been made. Now, the onus is still on Fiorina, DeVore, and Campbell to take care of their business. The election is theirs to win or lose, and the governor has said many times how much she loves contested primaries. So we’ll see what happens. As I wrote previously, I agree with Governor Palin: Fiorina is the only common sense choice in this race. Read the full FoxNews.com article here. For Mother’s Day, Governor Palin gets a family picture that includes all of her children. That may not seem like much to some, but when you have five children ranging in age from two to twenty one, and a sixteen month grandson, that’s quite a feat–and quite a present. 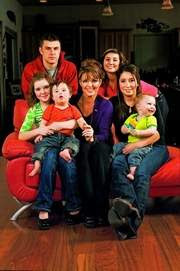 USA Weekend gives us a look into the Palin home, where we get to experience how the busy family operates on a given day. Even for one of the world’s most famous mothers, wrangling six kids — including two squirmy toddlers, a rather-be-elsewhere young veteran and a birthday girl impatient to light the candles on mini-cupcakes that Mom baked — makes reforming health care seem easy. Welcome to Palin Central, a remote lakeside outpost where, for one recent afternoon, the woman in the headlines opened her home for an up-close look at her life. What we found during three harried, uncensored hours was a working mom who gives new meaning to the term “multitasking.” One minute Palin, 46, is making a baby bottle, checking the latest stream of e-mails on her BlackBerry and asking Piper, 9, if she wants a playdate; the next she’s dashing out the back door, taking off her dangle earrings and doing a live TV shot on, yes, health care reform for Fox News. And this is all during our interview. For Palin, the juggling act is evidence of presidential bona fides. “I think this country would be served very well by a woman president, someone who has raised a family,” she says, stopping short of saying she wants to run in 2012. I agree. The country would definitely do well to have a woman president, but only the right one–and that one is named Palin. 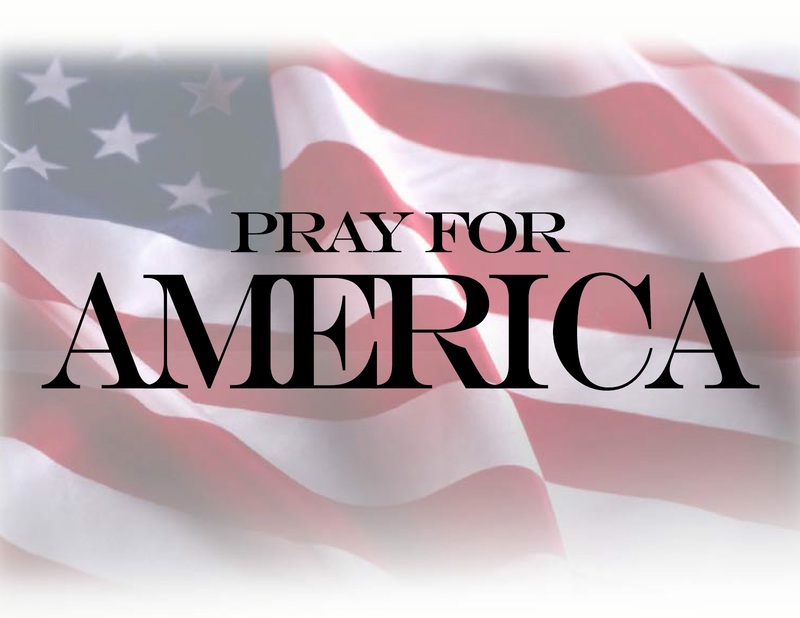 Read the full USA Weekend article and see the family pictures here.